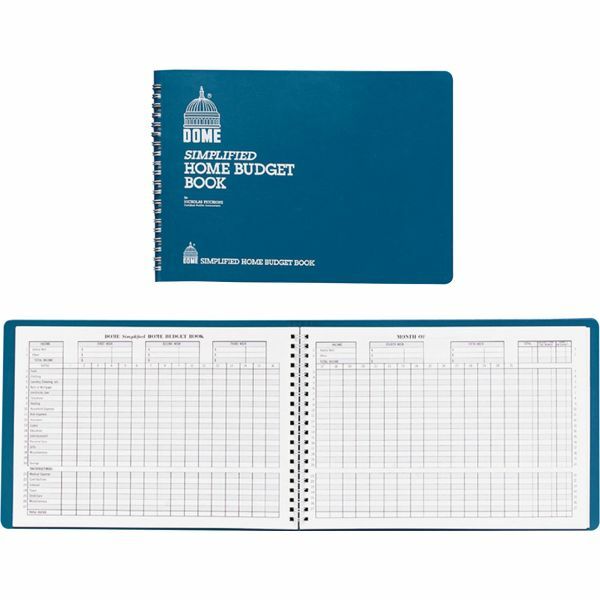 Dome Simplified Home Budget Book - Undated budget book is a complete financial guide designed to assist homeowners in saving money. 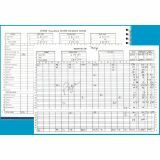 Keep accurate totals of income and expenses that will have you on track and saving money in no time. Book records valuable and timely information regarding taxes, social security and IRAs. 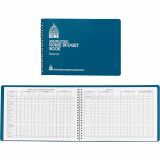 It contains completed specimen page, tax tips, ways to cut interest costs, a way to figure the operating cost of a car and many more money-saving ideas. Budget book is good for a full year and is not dated so you can start any time. Design includes 64 pages, wire binding and a vinyl cover.